Being wonderful family dogs Mastiffs need lots of human companionship. Keep in mind that this dog breed is a social one, so prepare that Mastiff will be an important part of your life whatever you do. He always wants to be where you are: in the kitchen, on the bed, in the yard. Do not leave your pet chained to a doghouse or just alone for a long time. Many specialists agree with the fact that if Mastiffs are neglected by the family they are likely to have some behavioral problems in the future. So take care of your gentle giant, pay him a lot of attention. He will be grateful and will bring to your family happiness and good mood. 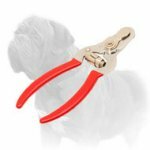 If you want to make your four-legged companion's life better pay attention to high quality dog products in Our Mastiff Web Store. 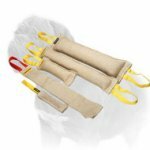 Choose among hundreds of dog accessories to find the items you definitely need. 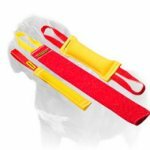 Let your dog enjoy our designer leather and nylon harnesses, nylon leads, chain collars for dog shows, fire hose bite tugs and different dog toys. 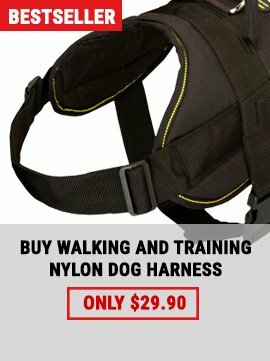 Show your small Mastiff how you care about him - choose this Comfortable Leather Harness for your puppy’s healthy growth. Life of adult Mastiff, his health, behavior depends on how he was treated in his childhood. It is extremely light in weight and due to it your small Mastiff can be as much active as he wants. Be ready to him exploring the world, digging, licking and sniffing all around and of course to you educating him to behave well. This harness is your best assistant in it. 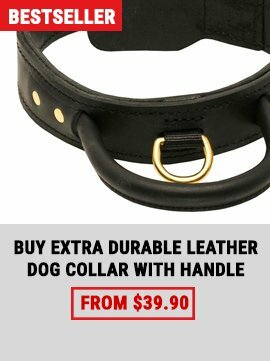 Do you need an excellent collar for your Mastiff? Try this Leather Collar with Massive Curved Plates. 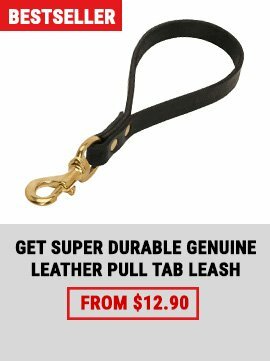 It is stylish and functional item that will come in handy for any part of your dog’s life. 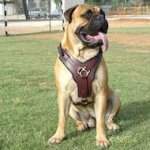 Training, travelling, daily walking, decorating and more other activities are available when this Collar is on your Mastiff. Due to excellent quality and its fantastic look, it will become your favourite daily tool.